Welcome to your UNIQUE WATERFRONT home designed for watersports and carefree living!!! 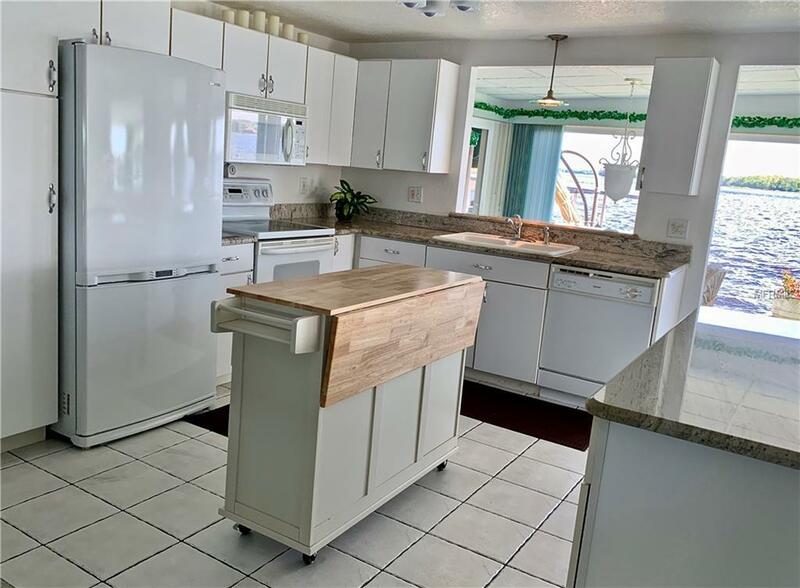 Your Florida waterfront Ranch villa with double carports and gabled metal roof offers LOW $87 HOA community living with utmost privacy. OPEN FLOORPLAN and dual entrances allow you to set your decorative theme 100% NATURAL LIGHT floods most rooms where serenity is the mood. Bedrooms boast mirrored spacious closets that double as an illusion of more space. ... Step into your REMODELED EN SUITE MASTER bathroom with built-in linen cabinets or your second bathroom with the hide-away INDOOR LAUNDRY room. Kitchen with pantry and dry bar offers livability and the look of welcome with ITALIAN GRANITE countertops! Living room, dining room, and sitting room areas all offer an aura of tradition and refinement. 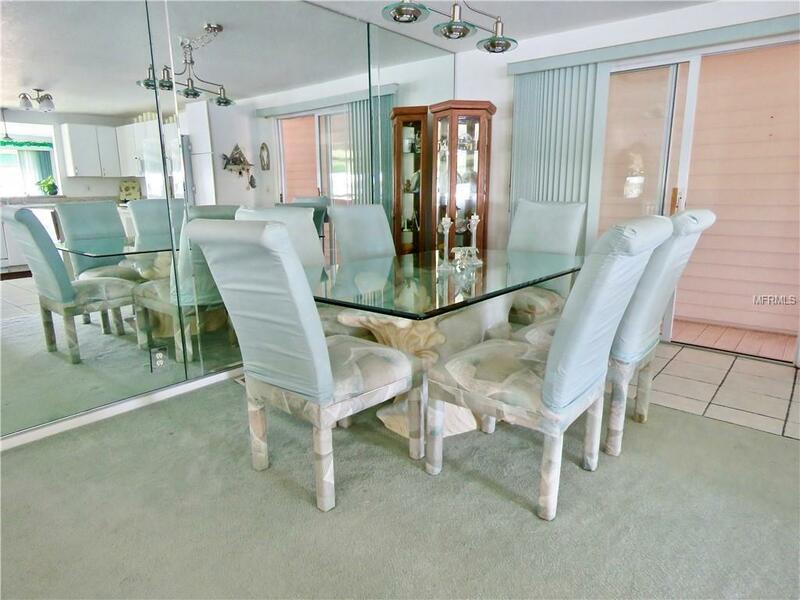 Your RARE FLORIDA ROOM offers a contemporary view of LAKE TARPON in framed floor-to-ceiling BOX BAY WINDOWS!!! This panorama of splendor filled with a profusion of flowering plants is unmatched! 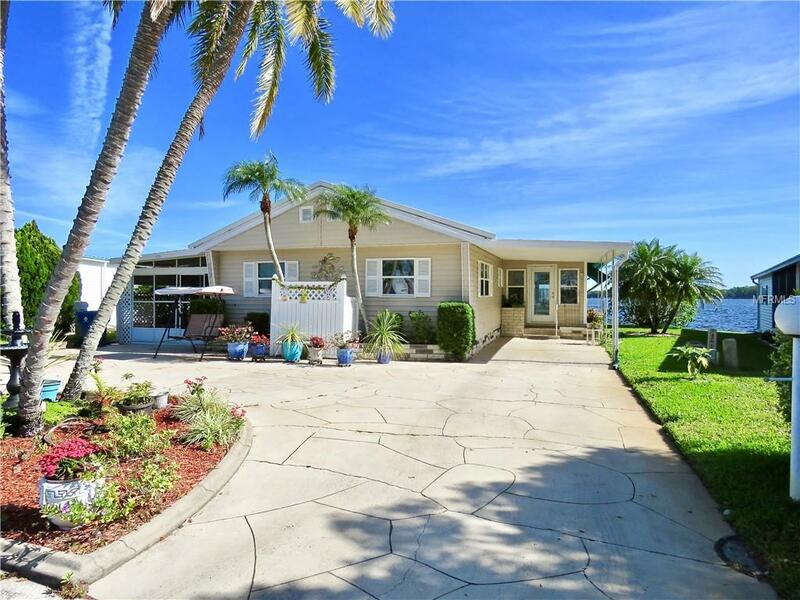 From your SCREENED PATIO, use the footpath to the BOAT DOCK where you can hop in your boat or kayak and indulge your Florida waterfront dreams!!! Your LARGE ATTACHED SHED provides lots of square footage for your water gear! Engage with neighbors and friends via an ACTIVE 55+ COMMUNITY CALENDAR -- including Golf, Tennis, Pool, and Shuffleboard! 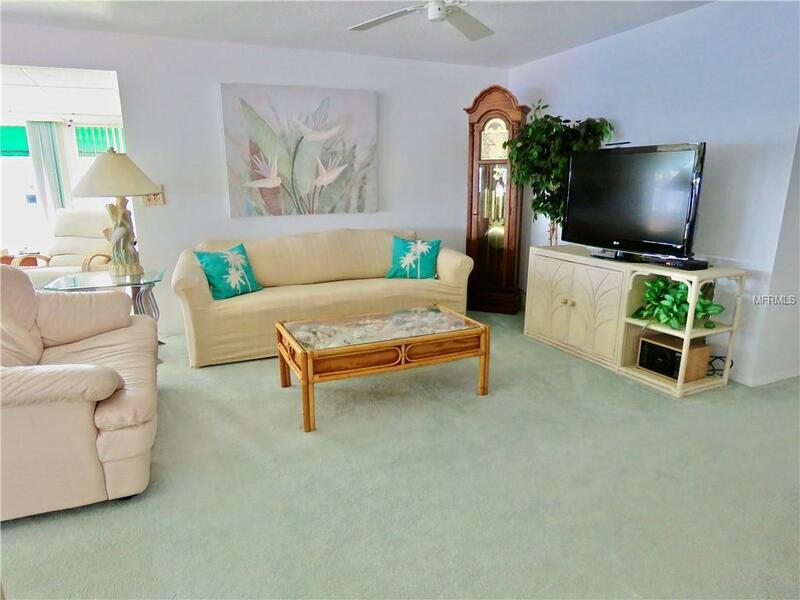 Easy access to entertainment, grocery stores, a world-class PGA golf course, and beaches! No need for a sales pitch this house sells itself. BOOK YOUR PRIVATE TOUR TODAY! Lot Size Dimensions See Survey Attachment. Additional Lease Restrictions Contact Hoa For Leasing Restrictions.